This isn't an exquisite 3D render of Corvo's mask from Dishonored. It's an actual mask, put together by the team at Technically Magic Effects. Sadly, it's not available to buy—it's a one-off made for a competition—but that only makes it that much more of alluring. 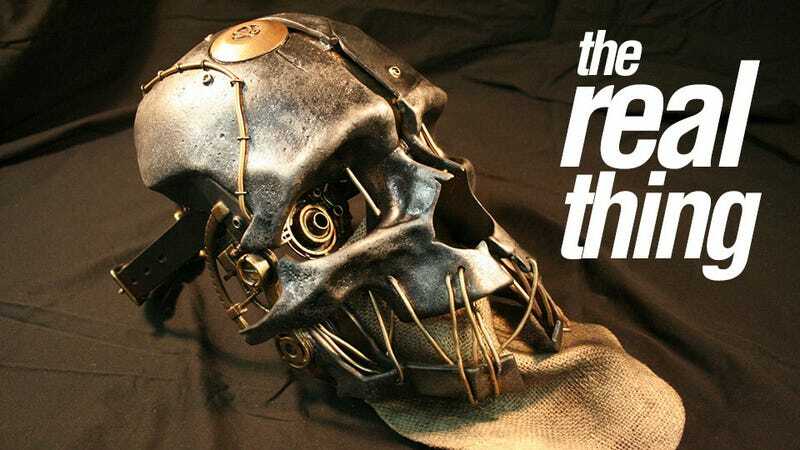 The accuracy is a result of the source material: developers Arkane shared the actual 3D models used for the mask in the game, meaning that, technically, this is no different to Corvo's actual mask. Except you can actually touch this one.